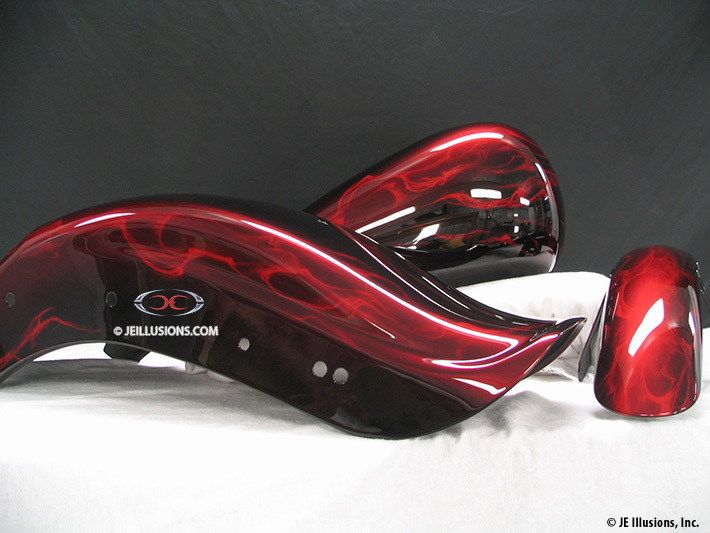 Our Cross Fire design will get your bike revving down the stretch! 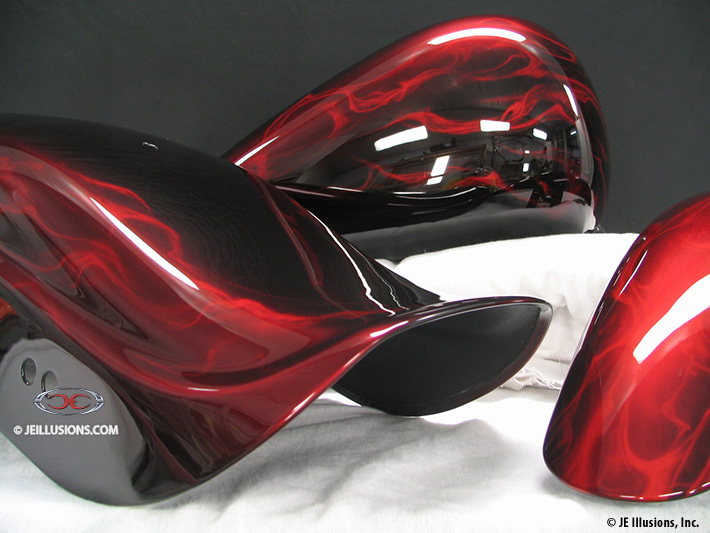 This paint design offers a blend-fade from jet black to deep kandy apple red back to jet black along the sides of each part. 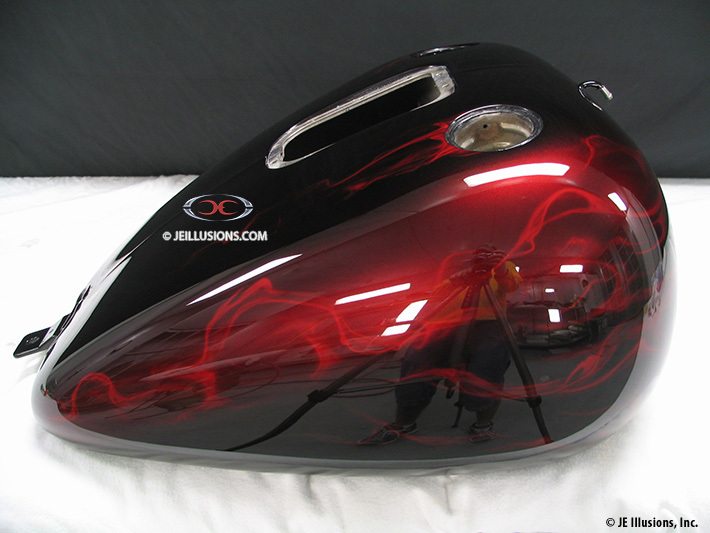 Underneath this true kandy apple red is an ultra flash course metallic which shines through our transparent kandy. There is mostly black on this design and the red areas are deep and subtle until the sun is beating directly on it and our vivid colors are activated. Over the fades is an innovative blend of real flames airbrushed in very deep kandy apply red.